Interpreting is more than a feeble attempt of a layperson or even a relative trying to communicate with a medical doctor or judge. Professional Interpreters have years of training in medical terminology & legal jargon and have become invaluable in every day life. America has been described as a “melting pot”, with people living and working here from many different countries. No other country has such a diverse po pulation. It is this diversity that makes America a great nation and, at the same time, can create challenges. One of those challenges can be the communication barrier by those that cannot understand, speak or read in English. This poses a threat especially in the legal and medical community. It is the reason and importance for qualified interpreters and translators. So what do they do & how do they help? Interpreters and translators convert information from one language into another. Qualified Interpreters and Translators should speak, read, and write in a least two languages fluently. Interpreters work in spoken or sign language; translators work in written language. Interpreters work in settings such as schools, hospitals, courtrooms, and conference centers. 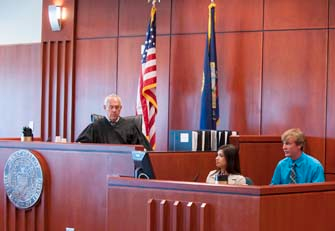 Professional court interpreters are individuals who possess an educated native-like mastery of both English and a second language; possess a general education of at least two years of college or university and the ability to perform three major types of court reporting; sight translation, consecutive interpreting, and simultaneous interpreting. Convert concepts in the source language to equivalent concepts in the target language. Compile information, such as technical terms used in legal settings, into glossaries and terminology databases to be used in translations. Speak, read, and write fluently in at least two languages, including English and one or more others. Relay the style and tone of the original language. Manage work schedule to meet deadlines. Render spoken messages accurately, quickly, and clearly. 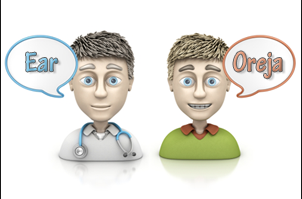 Interpreters and translators aid communication by converting message or text from one language to another language. Although some do both, interpreting and translating are different professions: interpreter’s work in the spoken language, and translators work in the written word. Simultaneous: Simultaneous interpreters cannot begin interpreting until the general meaning of the sentence is understood. This requires interpreters to listen or watch and speak at the same time someone is speaking. It requires a high level of concentration. For that reason, simultaneous interpreters usually work in pairs, each interpreting for about 20-30 minutes and then resting while the other interprets. These interpreters are often familiar with the subject matter, so they can anticipate the end of the speaker’s sentences. Consecutive: Consecutive interpreting begins only after the speaker has said a group of words or sentences. Consecutive interpreters may take notes while listening to or watching the speakers before presenting their interpretation. Note taking is an essential part of consecutive interpreting. Whispered: Interpreters in this mode sit very close to the listeners and provides a simultaneous interpretation in a quiet voice. At least two interpreters take turns. Translators convert written materials from one language into another language. The goal is to have people read as if it were in the original language. Translators must properly transmit any cultural references, including slang, and other expressions that do not translate literally. Interpretation and translation services are needed in virtually all subject areas. Although some interpreters and translators do not specialize in any particular field or industry, many focus on one or several areas of expertise. We will look at two types, court & medical interpreters. Medical interpreters typically work in healthcare settings and court interpreters in a courtroom setting. Some interpreters will work in both settings, which is a very demanding scenario due to the medical terminology and legal jargon being used. An interpreter must have knowledge of medical and legal terminology. This is the reason it is very important to use certified interpreters. An interpreter that has completed an accredited and rigorous certification program will have passed both written and oral performance exam. Why chance using Pepe, the 10 year old nephew of the patient, with a clause at the bottom of every M.D. report that states, I declare under penalty of perjury that the information contained in this report to be true and accurate. Do doctors really want to take the chance that Pepe’s 10 year nephew interpreted accurately? Trust that most physicians do not want to take that chance and should always choose an interpreter that is trained and certified. Coming soon will be part two of “What It Takes To Be A Good Interpreter”. Language Associates owner and CEO, Juan Morales is a certified interpreter and translator and all of his interpreters are trained professionals. They arrive on time to each job, dressed professionally and understand what they need to do. Juan Morales has been referred to as the “Godfather” of interpreting and translation and is passionate about performing in an ethical and responsible manner. With over 30 years in the business of interpreting and translation you can be assured that you are with the BEST company!